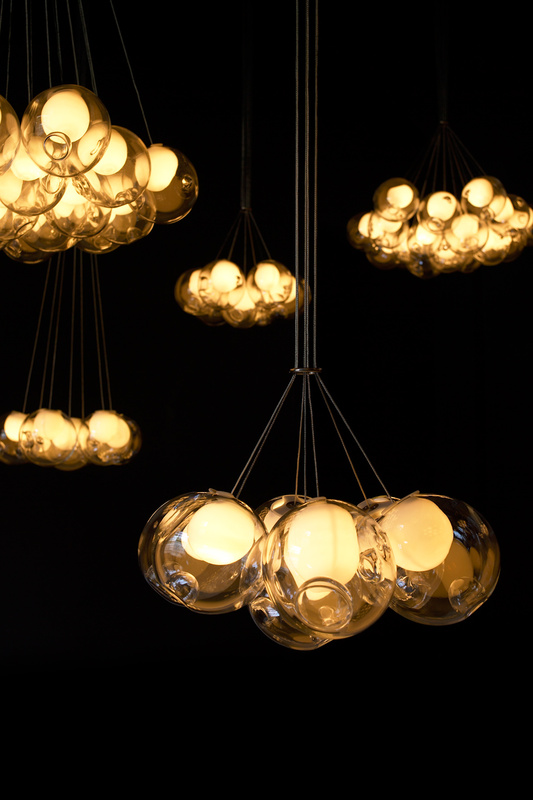 28.7 is a cluster of seven 28 pendants hung from a round canopy. The pendants hang in shape of a hexagonal bouquet, bundled together by an adjustable ring, which changes the curvature of the piece and its proportional reading. 28 is an exploration of specificity in manufacturing. Instead of designing form itself, here the intent was to design a system of making that yields form. 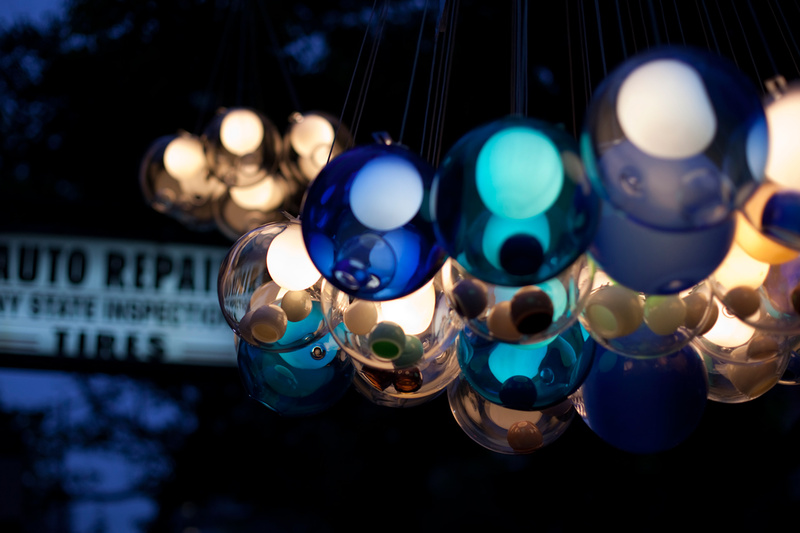 Individual 28 pendants result from a complex glass blowing technique whereby air pressure is intermittently introduced into and then removed from a glass matrix which is intermittently heated and then rapidly cooled. 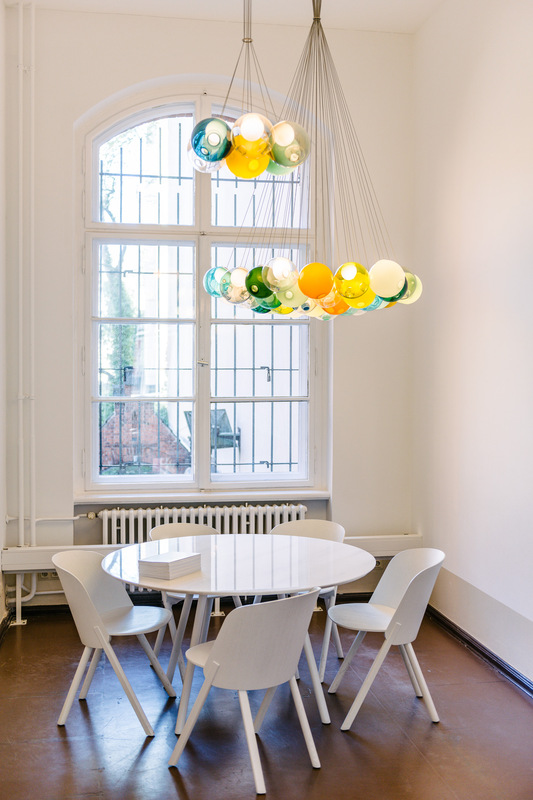 The result is a distorted spherical shape with a composed collection of imploded inner shapes, one of which acts as a shade for a low voltage light source. 28 pendants are designed to cluster in hexagonal shapes which nestle into each other to create patterns as dictated by the needs of the interior. They may also be clustered or composed in an ambient manner similar to their distant cousins the 14’s. 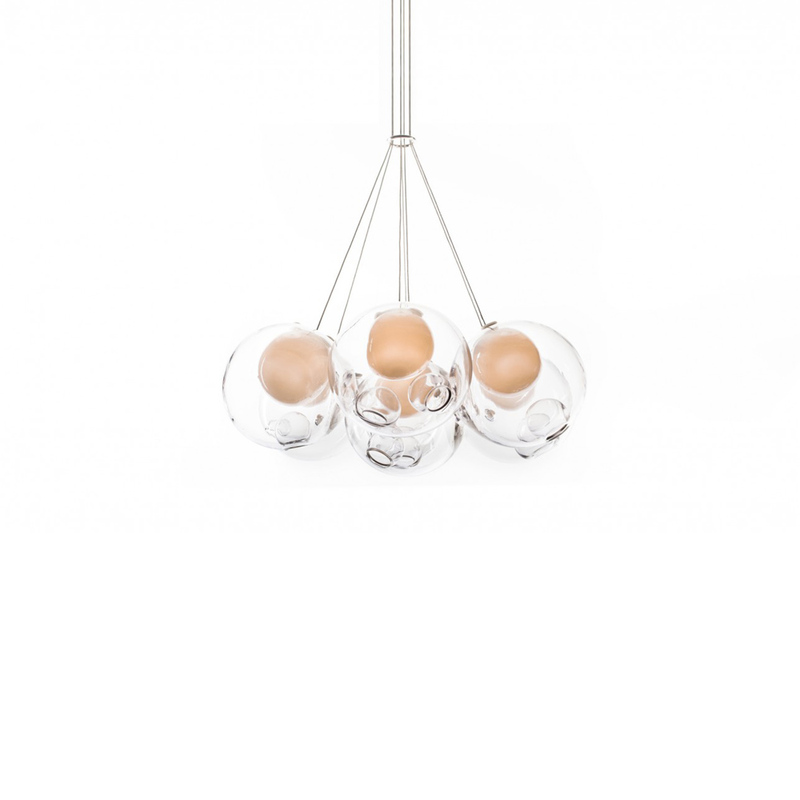 Standard 28’s are made with clear glass exterior spheres and milk white interior lamp holder cavities. 28’s are possible with infinite versatility in color compositions, sizes and shapes.